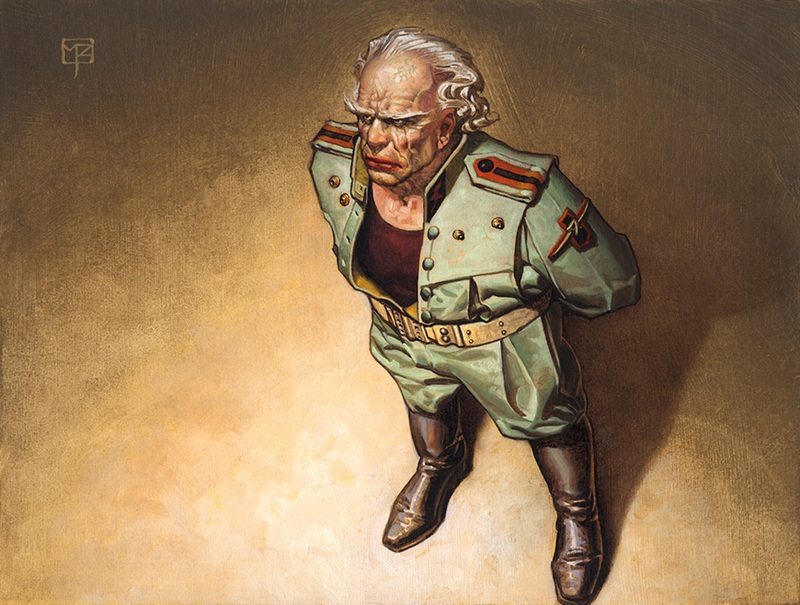 Illustrator Mark Zug has a wonderful collection of illustrations that he created in 1997 for the Dune: Collectible Card Game, produced by Last Unicorn Games. 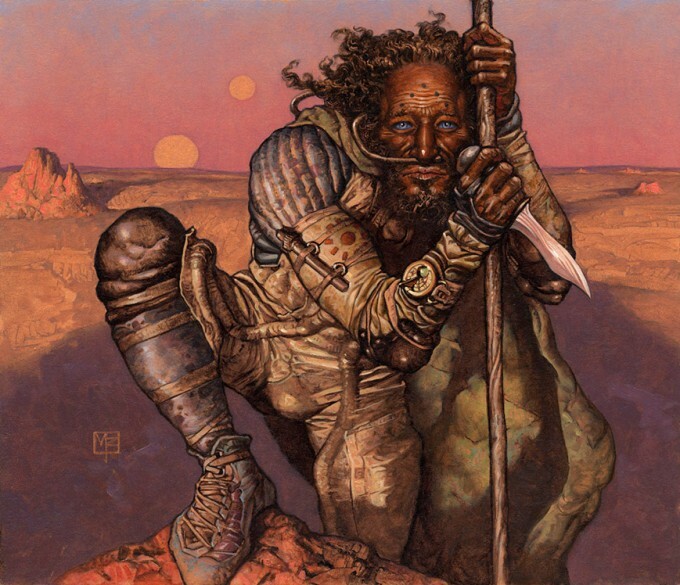 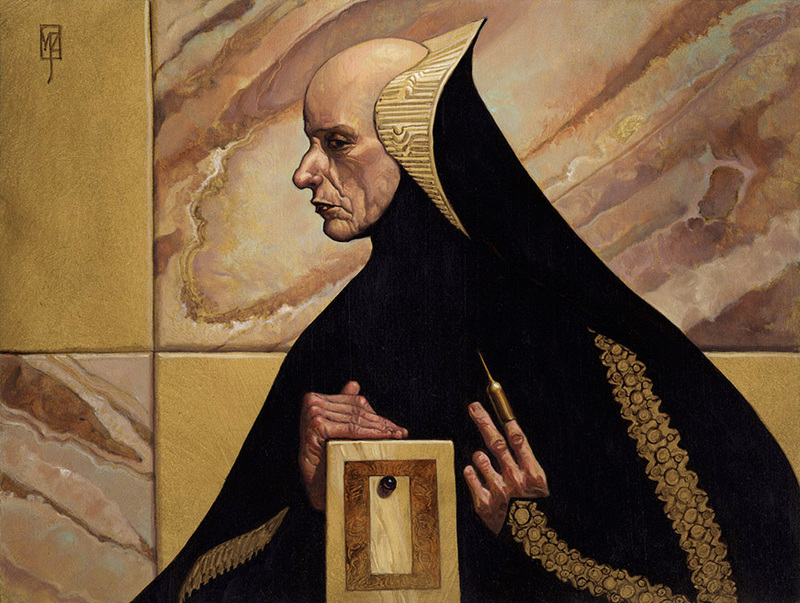 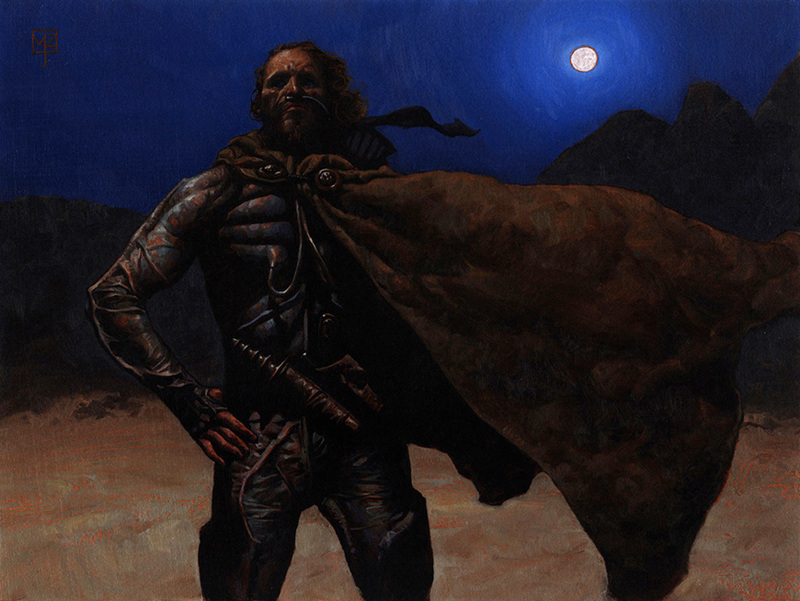 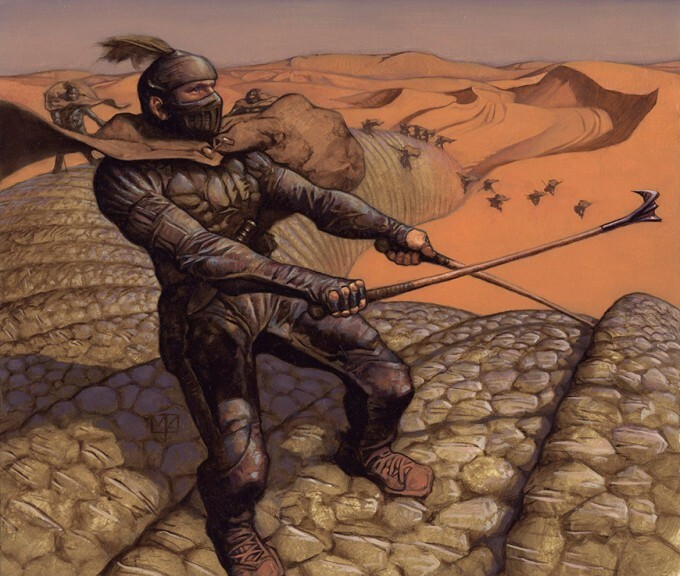 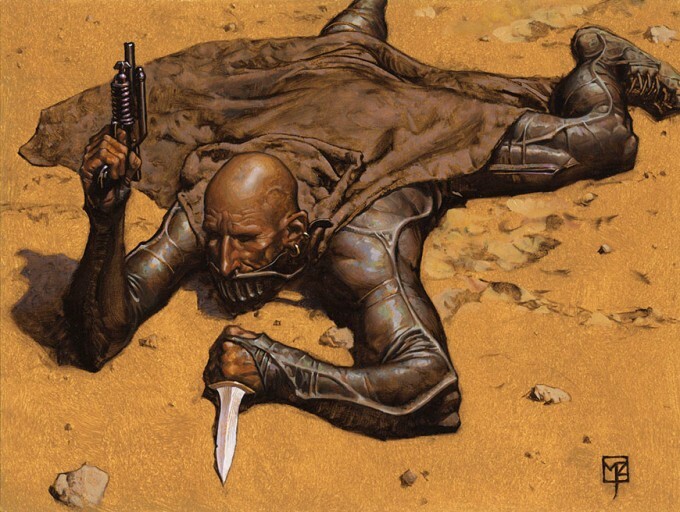 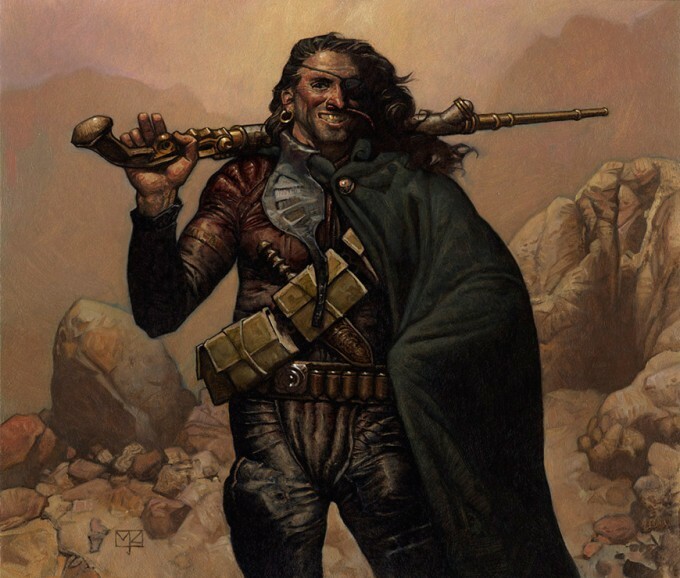 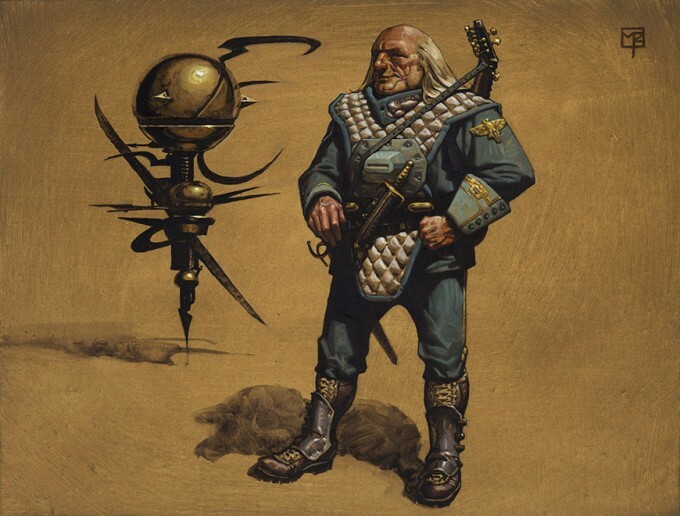 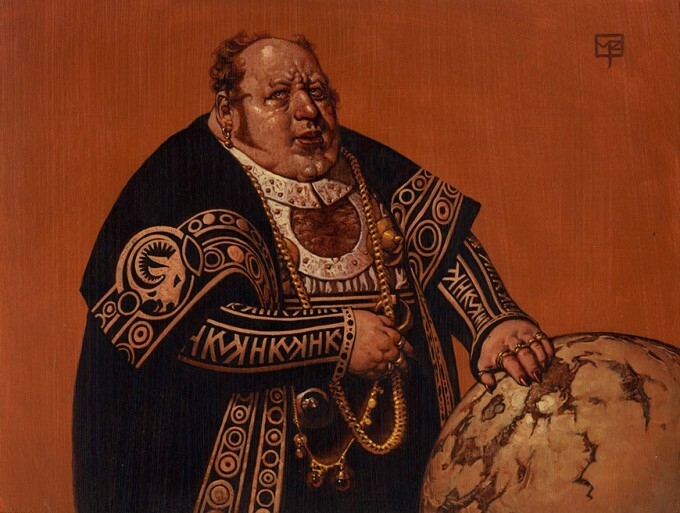 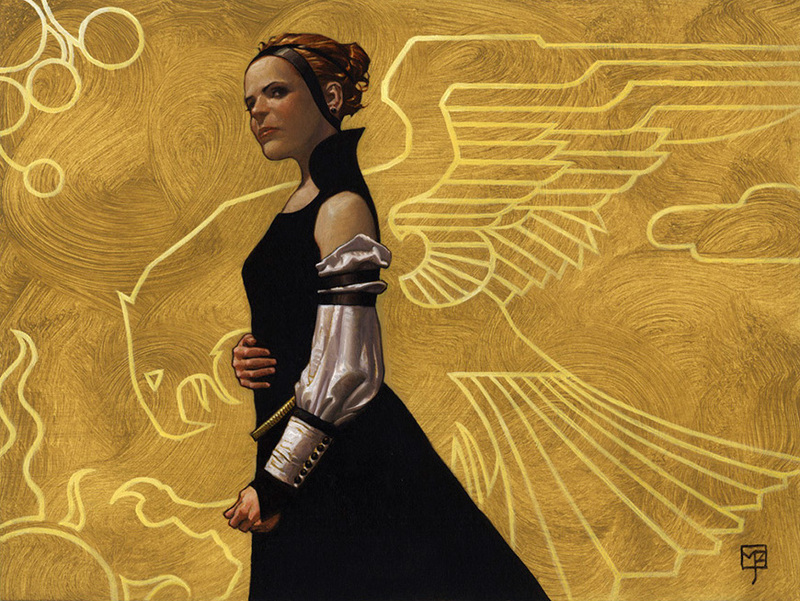 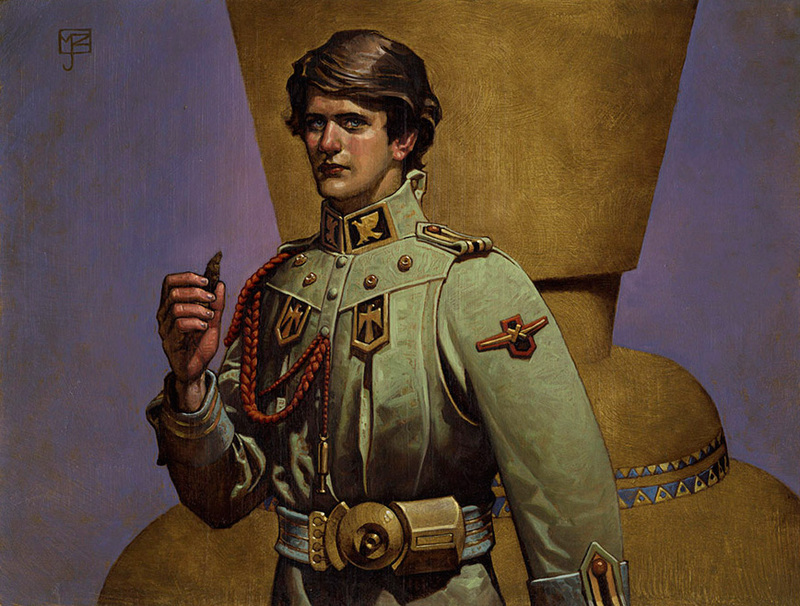 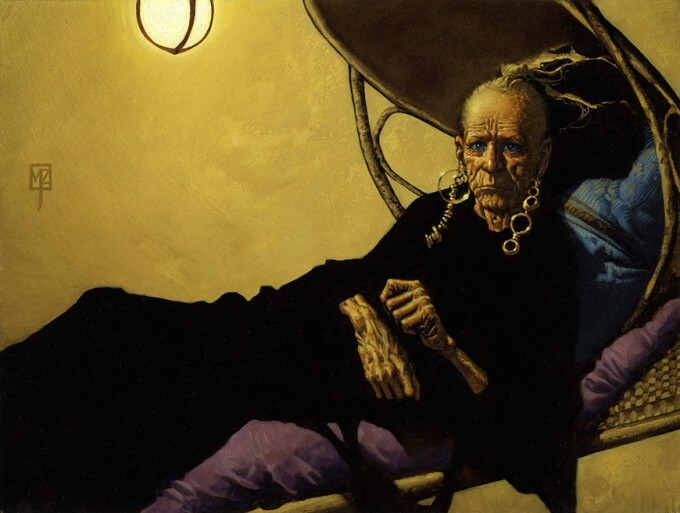 His set of Dune illustrations contain playable characters such as Paul Atreides, Lady Jessica, Thufir Hawat, Baron Vladimir Harkonnen and Gurney Halleck. 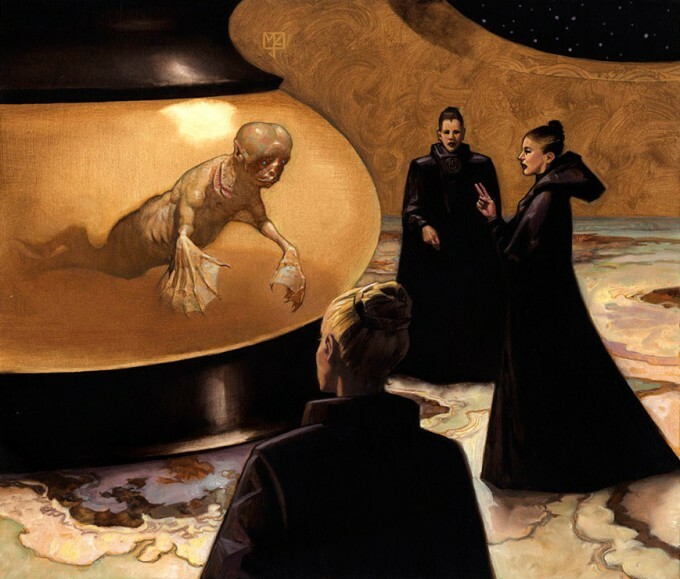 Early on, Zug was permitted to use David Lynch’s film adaptation of Dune as a visual reference, but after a change in licensing he was told to avoid any similarity.